...but prepare for a shortage of custard creams. 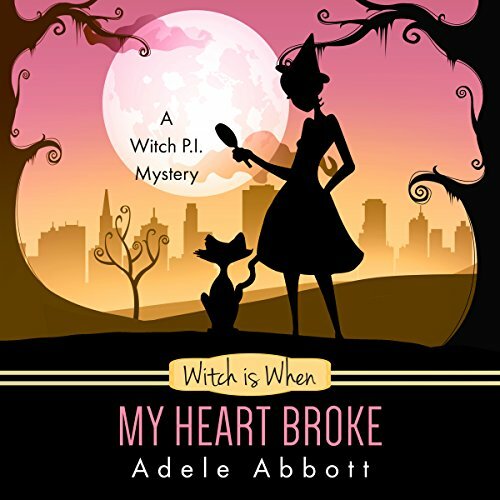 Became enchanted by Adele Abbott's With PI series with book 1 and the charming Hannah Platts does wonders with bringing each character to life as she narrates. These are fun reads for all ages really. I started reading and progressed to listening and then my daughter (who is 10 and an avid reader) during a road trip got engrossed to the book I was currently on so we went back and began again at book 1 to enjoy them together. I highly recommend this for anyone looking for a fun mystery with a great wit, character depth and who love to be enthralled into a world through an entire series. Heck with this series you get multiple worlds in a way. The banter and humor will delight you as you accompany Jill and her comrades through mysteries of her PI business, her 2nd coming of age and the ins and outs of all relationships from family to friends to romance. As with the previous books, I found this one thoroughly enjoyable! I love the dry humor and the perfectly placed comments made to the listener/reader. There are only a few, and not enough to ruin the feeling of being in the story. As a matter of opinion, I think the few asides add wit at the perfect time. Can’t wait for the next one!